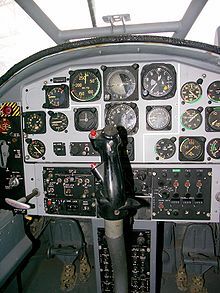 The AM.3 was the result of a joint venture between Aermacchi and Aeritalia (then Aerfer Industrie Aerospaziali Meridionali) in response to an Italian Army requirement for an aircraft to replace the Cessna L-19, and was initially designated the MB-335. The first prototype, constructed by Aermacchi, flew on 12 May 1967, and it was displayed at the Paris air show in June that year. The second prototype, constructed by AERFER, flew on 22 August 1968, but the aircraft lost the Italian Army contract to the SIAI Marchetti SM.1019. Nevertheless, Aeritalia continued development. Armament configurations are diverse, as well. Two standard underwing pylons were able to carry 170 kg (375 lb) of stores each. Typical armament includes machine guns, rockets, bombs and missiles. Reconnaissance packs could be fitted to, or inside of, the fuselage. Additional pylons were often added by customers. In September 1970 the South African Air Force ordered 40 AM.3Cs, designating the aircraft the AM.3CM Bosbok (Bush-buck). The first aircraft was taken on charge in March 1973, with deliveries continuing until December 1975, equipping 41 Squadron and 42 Squadron. The Bosbok saw extensive action during the South African military operations in Angola between 1975 and 1989, during which it wore an olive-drab/dark earth camouflage instead of the light-grey paintscheme in which it was delivered. The SAAF's Bosboks had four underwing hardpoints from which a variety of ordnance could be hung, including machine gun pods, light bombs and smoke-rocket pods. Each of the two inner hardpoints was stressed for a 170 kg (375 lb) load, with the two outer points being stressed for a 91 kg (200 lb) load. It was in the dangerous role of target-marking that the Bosbok really excelled, in which it used the following technique: The aircraft would run in to the target at tree-top height, pull up to around 92 m (300 ft) when nearly overhead the target, line up the nose on the target and release the rockets, before quickly turning away and diving back to tree-top level to avoid ground-fire. Using this method, a Bosbok was once credited with destroying an entire 37 mm anti-aircraft gun position with a lucky direct hit from one of its smoke marker rockets. 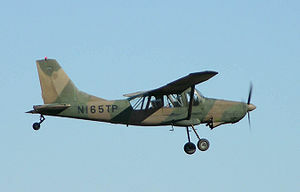 Following the end of South Africa's involvement in the Angolan War in 1989 and the subsequent downsizing of the SAAF, the Bosbok was retired from service in 1992. The only other nation to operate the AM-3C was Rwanda, which had 3. The National Test Pilot School at the Mojave Spaceport operates one ex-SAAF aircraft as a training aircraft. Aermacchi AM.3 Pictures and Aermacchi AM.3 for Sale.